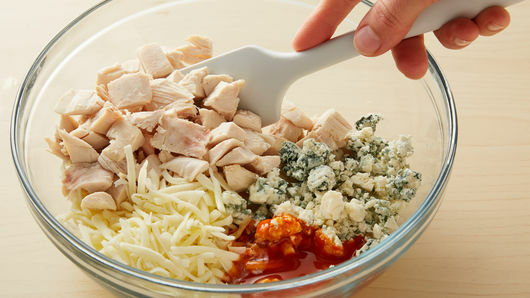 In medium bowl, mix chicken, cheeses, 3 tablespoons of the wing sauce and 2 tablespoons of the melted butter. Separate dough into 8 biscuits. Cut each biscuit into 3 strips. Press each strip into 4x1 1/2-inch rectangle. 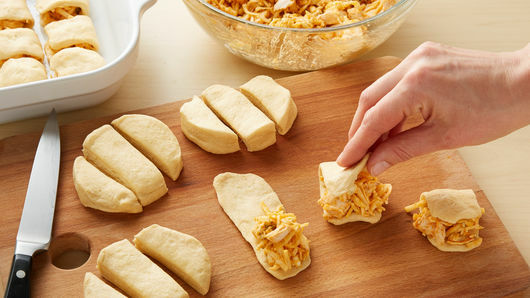 Place 1 heaping tablespoonful chicken mixture on one half of each rectangle. 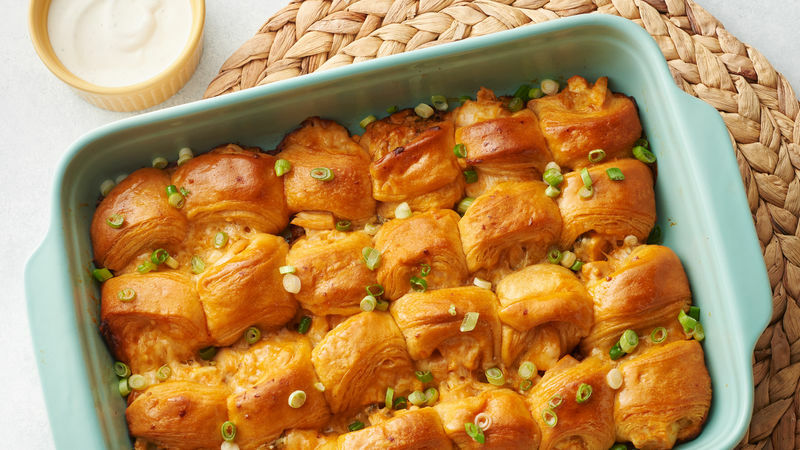 Fold dough over filling (do not seal), and place in baking dish in 6 rows by 4 rows. 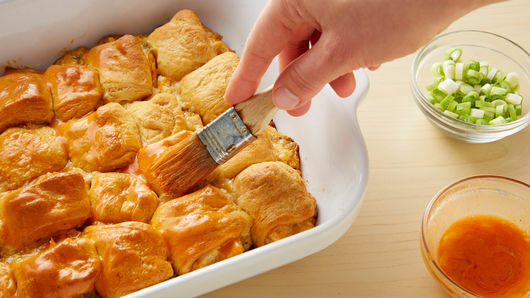 Bake 35 to 40 minutes or until biscuits are baked through and deep golden brown on top. In small bowl, mix remaining 1 tablespoon wing sauce and remaining 2 tablespoons melted butter. Brush over biscuits. Top with green onions. Swap the mozzarella cheese for shredded Cheddar cheese, if desired.